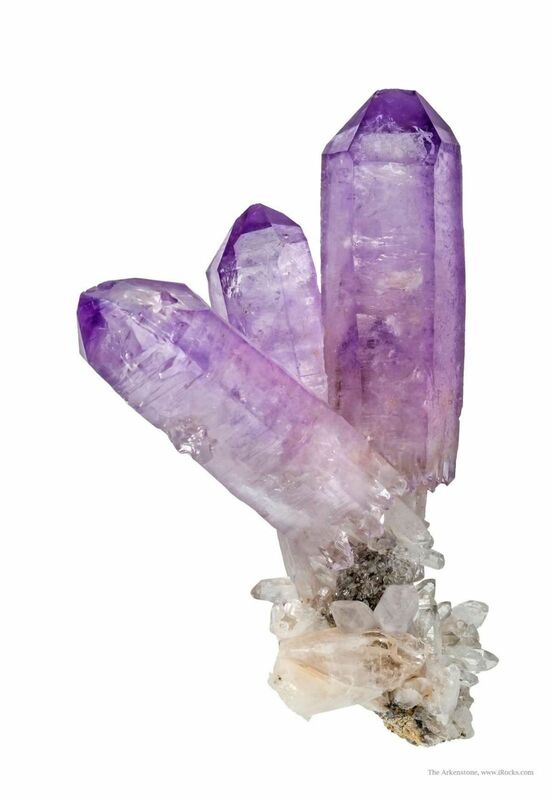 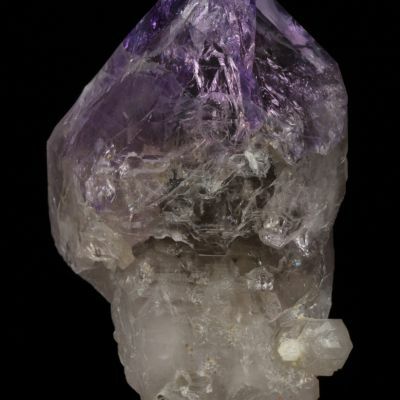 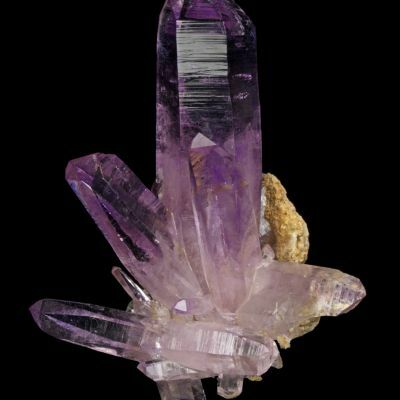 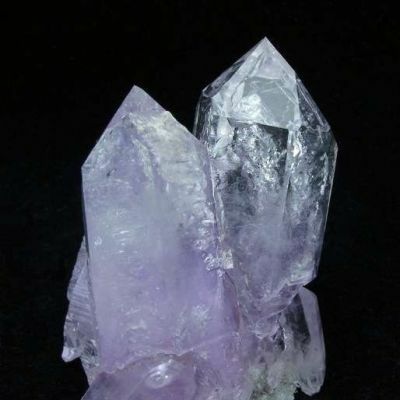 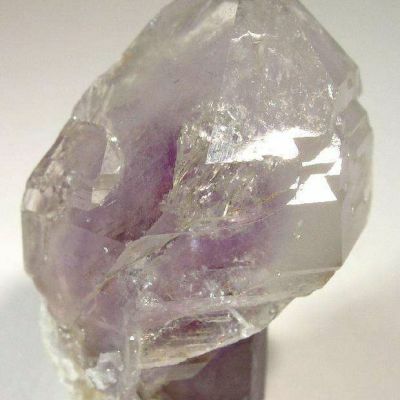 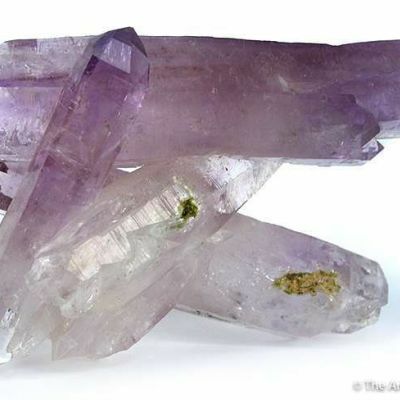 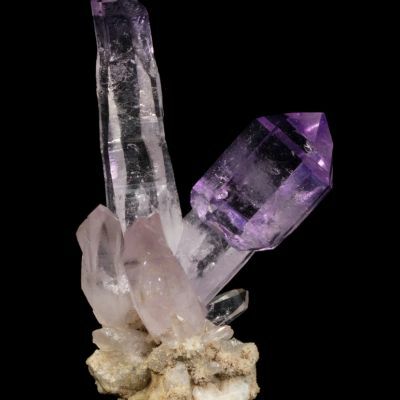 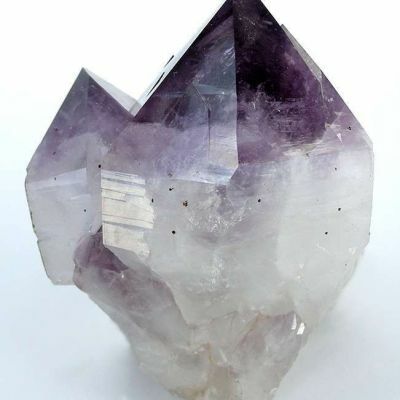 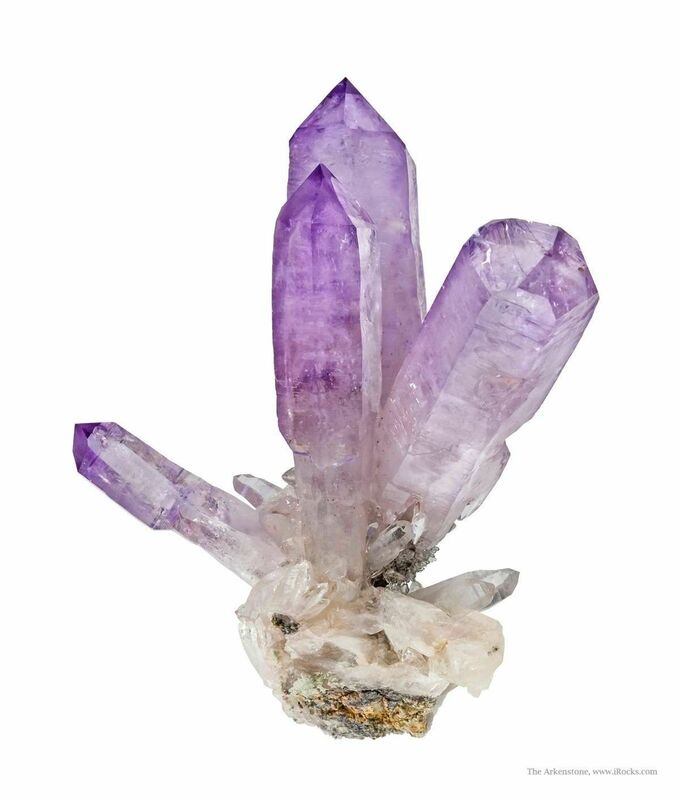 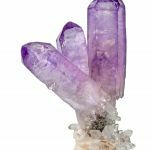 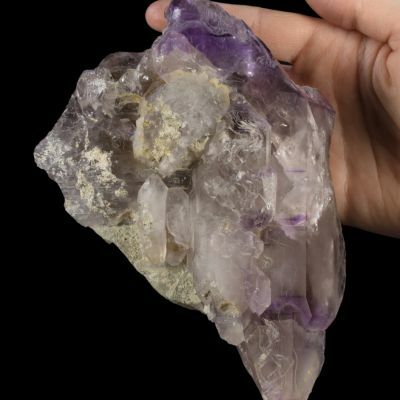 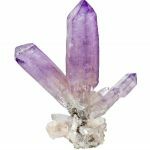 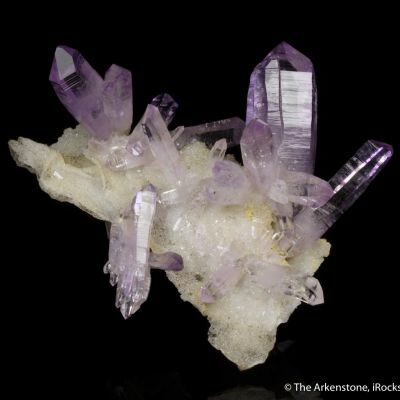 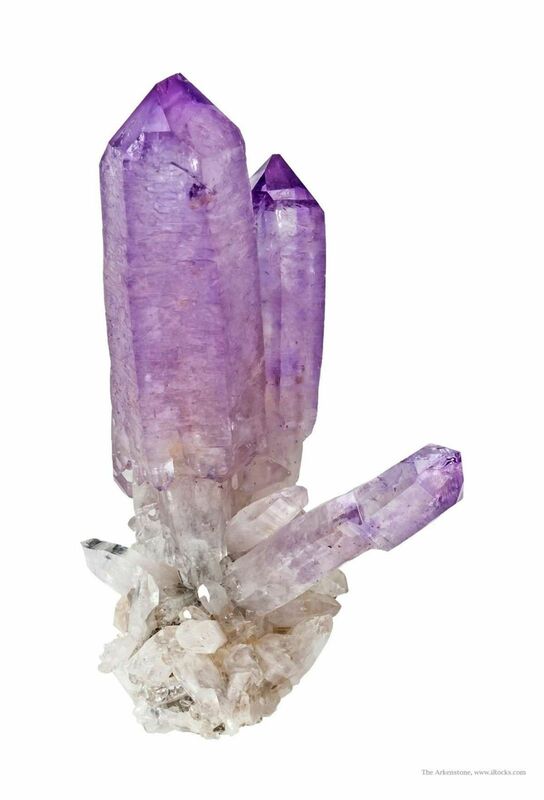 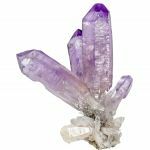 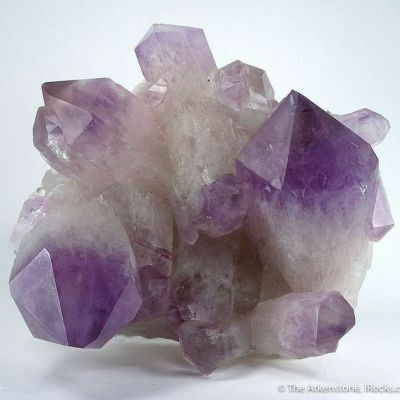 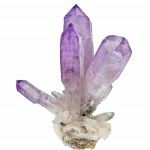 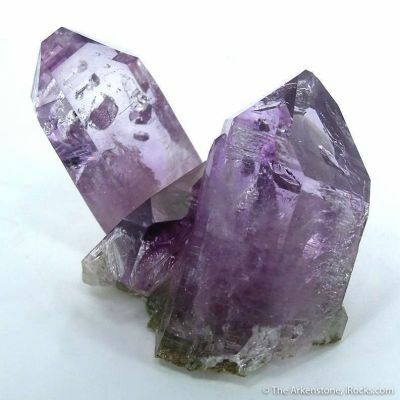 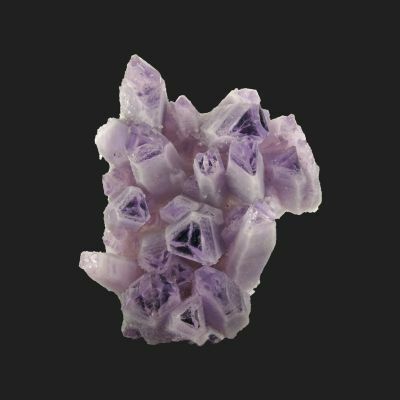 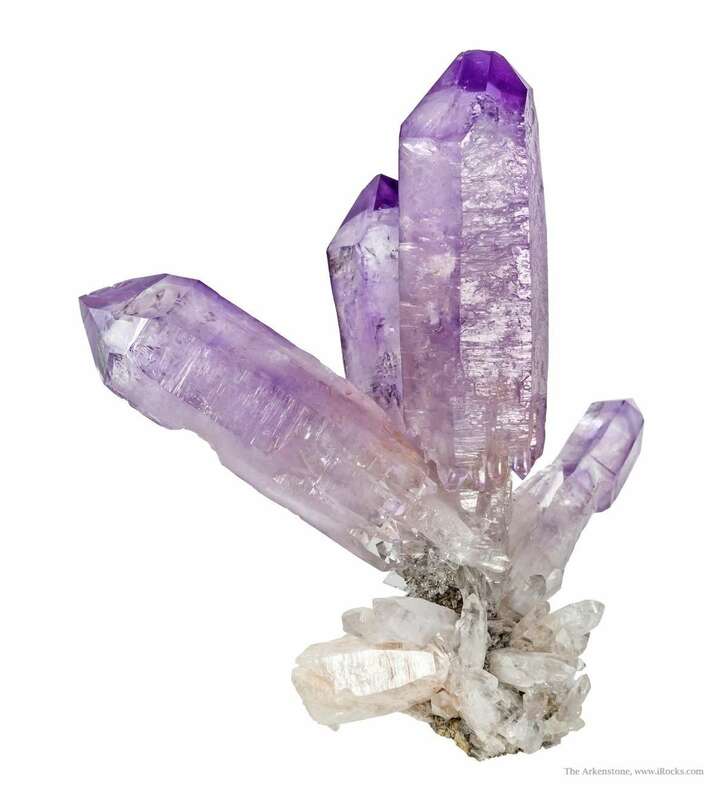 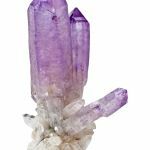 Aesthetically perched on a minor amount of matrix, are four crystals of lustrous and translucent, lavender colored amethyst, to 6.3 cm in length. 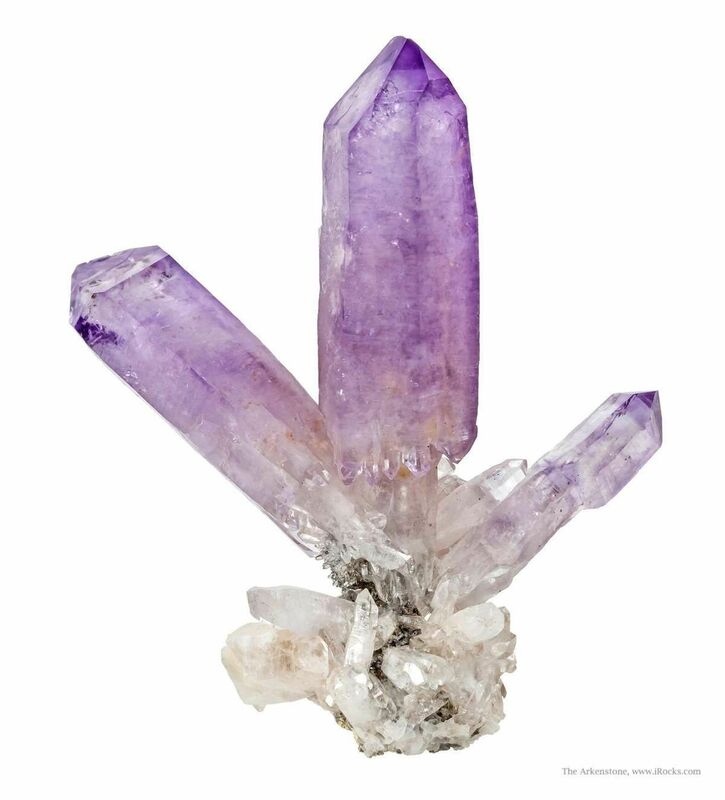 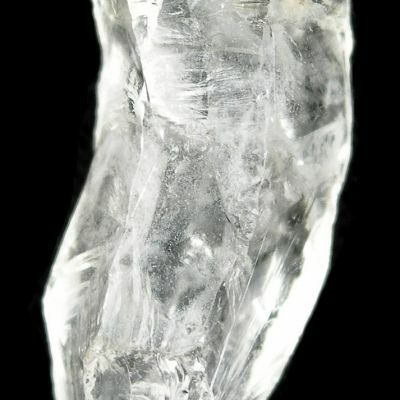 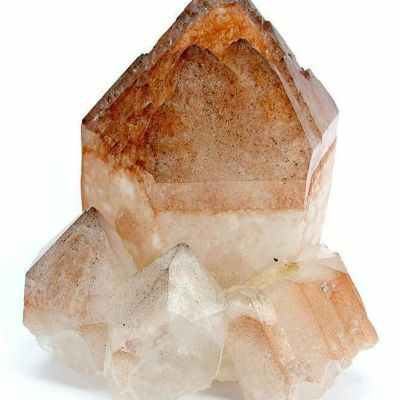 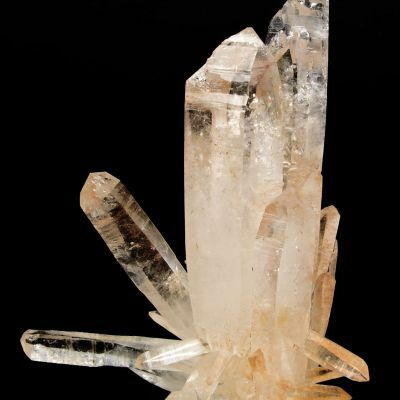 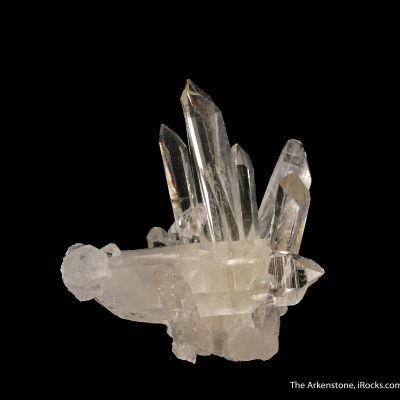 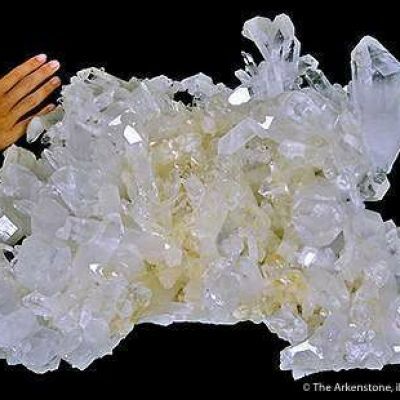 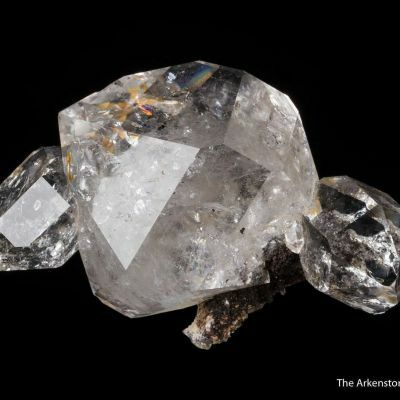 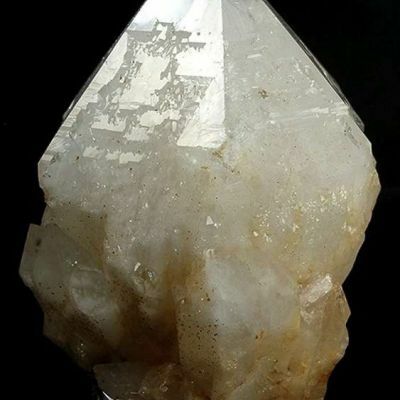 All four crystals exhibit beautiful sceptering at their bases, making this an extremely aesthetic example from these finds. 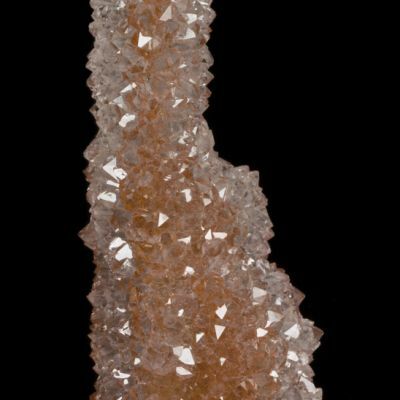 From the personal collection of Jason New, a longtime importer and collector of Mexican material.